يحظى فندق Surf Regency Apartments بمكان متميز في محور المدينة والاستمتاع بـ الحياة الليلية, شواطئ, تسوق في هذه المنطقة الفاتنة. يمكن من هنا للضيوف الاستمتاع بسهولة الوصول إلى كل ما تقدمه هذه المدينة النابضة بالحياة. سوف يعشق النزلاء موقع هذا الفندق، فهو قريب من أهم المعالم السياحية في المدينة . كما يقدم Surf Regency Apartments الكثير من الخدمات لإغناء رحلتك في المدينة. يمكن الاستمتاع بمجموعة من الخدمات على أعلى المستويات في الفندق كمثل تسجيل وصول/خروج سريع, تخزين الأمتعة, واي فاي في المناطق العامة, صف السيارات, التوصيل من وإلى المطار. في الفندق غرف نوم يتجاوز عددها 40، كلها مجهزة بعناية وجمال وبعضها مزود بـ تلفزيون بشاشة مسطحة, اتصال لاسلكي بالإنترنت, غرف لغير المدخنين, مكيف هواء, مكتب. صممت خدمات الاستجمام في الفندق والتي تتضمن حوض استحمام ساخن, ساونا, مسار جولف - ضمن 3 كم, حمام سباحة خارجي, سبا لمساعدتك على الاسترخاء والراحة. إن Surf Regency Apartments هو خيار ذكي بالنسبة للمسافرين، فهو يوفر إقامة هادئة ومناسبة للاسترخاء. يجب دفع مبلغ تأميني من بطاقة الائتمان بقيمة 200 دولار أسترالي عند تسجيل الوصول لتغطية النفقات العرضية أو التلفيات التي قد تحدث أثناء الإقامة. يتم رد هذا المبلغ خلال 7 أيام عمل بعد انتهاء إقامتك. i have stayed hear now a few times and it seems to get better every time i do. the satff are great and are always happy to help. The rooms could of been cleaned a bit better but apart from that it was a very pleasant stay and i will def go back again. the price's were very good and competitive. The facilities are pretty good maybe for future they can install a gym as well. but yes very good place to say, single, couple, family, wat ever your plans it is very good . The staff and location were great but the floor was filthy and bed was uncomfortable. We asked for room with view if available and our request was met. Location is great. Parking great. Rooms and building is old but that is why you're getting great value for money. If you willing to put up with everything ageing then it's a great place to stay on a budget. It’s an old building, vintage style, that’s true, if you prefer new and modern property, choosing somewhere else is better for you . I stayed at room 1003 which has wonderful view on high level, and I love room’s structure: kitchen is with living room only, bathroom is with bedroom only, and there is a huge mirror door between living room and bedroom. 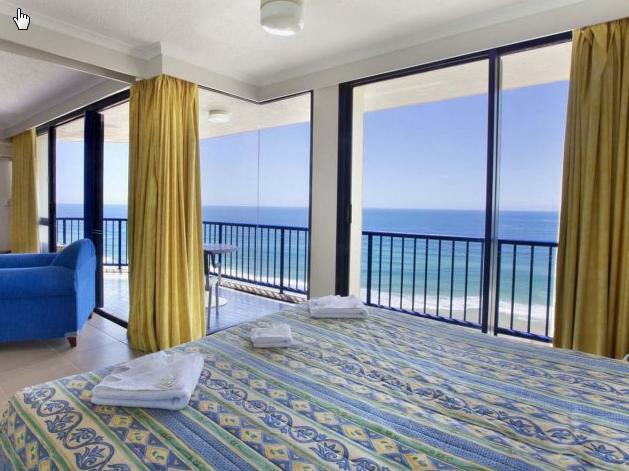 It’s quite with good privacy, and every room has balcony facing the beach and sea. You can walk to central shopping streets in 5-10 minutes, and just cross one street is beach. We will recommend it to our friends! We were placed in an old apartment, unrenovated when I specifically phoned and was told we would be placed in a newly renovated apartment. When my husband went down to talk to the receptionist, they said that’s all they have and pretty much ‘bad luck’! I emailed the original person Ron who I spoke too and he was lovely trying to sort it out. Unfortunately though after having a very uncomfortable night’s sleep, walking around on dirty floors and seeing cockroaches running out of the kids bedroom, we cancelled our booking 2 nights early and moved elsewhere. We will not stay there again or recommend. Great location, although very run down apartment, the shower became a mini pool as it didn’t drain very well, balcony light didn’t work, fridge kept leaking, needs a re paint, the sheets had a few stains which was very unappealing, 2 pillows were pancakes and 2 pillows were rock hard (I’m not joking), very close to beach which was so good (1min walk), cavil av very close, one pot was dirty from the last use (could’ve been checked by cleaners), could do with a new couch, bed was comfy, needed more than 2 rolls of toilet paper for 6 nights, staff didn’t seem too interested in my stay actually didn’t even ask how to was won’t book there again. Bad outweighed the good. Clean apartment with good sea view. Has all the necessary cooking utensils and electrical appliance. However some walking distance away from the amenities and restaurants. Had everything we needed and the customer service was excellent. When we had any questions they we answered quickly and fixed. Great location excellent views close to all facilities. Prime location for where I needed to walk. Beautiful views! 2 spas and a sauna. Roof access to 360 degree views. Only con were no free WiFi in the bedroom, but I was able to access the lounge downstairs for the uploading of the photos I was there to take. I stayed there for 1 week, got a decent price for the long stay which was cheaper than any other property with similar location or views. The property offers great ocean views, but you'll need to be above the 8th floor to great unobstructed views. You have access to the roof for views and the hot tub. Apartments are well presented with good space and furniture with a nice balcony. I was charged $45 for forgetting the key inside the room after reception hours, it was demanded in cash only and no change available so ended up paying $50 to the security guy who spent less than 5 minutes to open the door. Over all we had a lovely relating time. 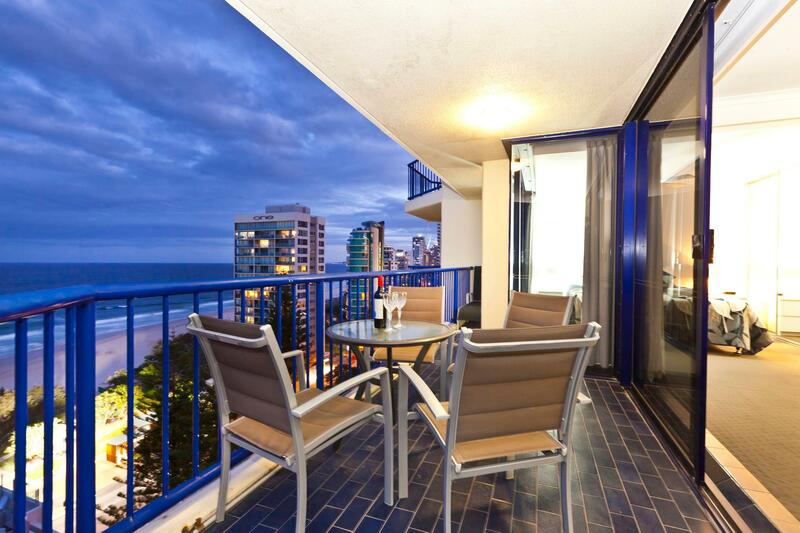 We were in the heart of the Gold Coast, close to shops and Beach .